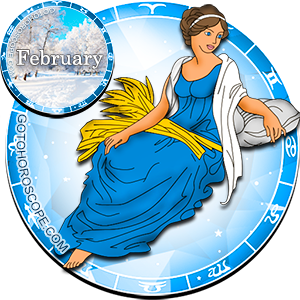 February 2014 Horoscope Virgo, free Monthly Horoscope for February 2014 and Virgo Astrology Forecast for the month ahead. 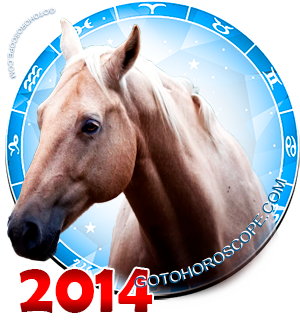 For the zodiac sign of Virgo, February 2014 will be an ambiguous time, and sadly more negative than positive. The thing is that Mercury, that is at the same time the planet-ruler and the exalt of Virgo, will unlikely be capable of fully fulfilling his protective task. In light of his exalt status, while he might be able to give some positive energy, it will be disproportional to the negativity that the Virgo sign will have to endure. All this negativity will come from just one planet. The general combinations with Uranus and Saturn will significantly strengthen Neptune, responsible for the "expulsion" of Virgo. As a result, the energy of this planet will reach unheard of levels. Luckily, Venus, responsible for the "fall" of the Virgo sign, will choose the right side in this complicated situation, and being the "celestial leader" of this sign; will attempt to help Virgo at least on the love front. However, its combination together with the other celestial bodies of the Solar System may bring difficulties for the Virgos in the sphere of business. 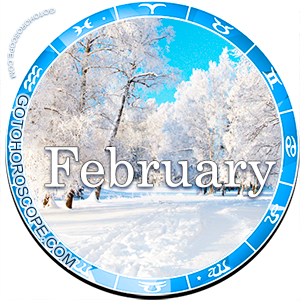 As a result, in the sphere of work and finances, February 2014 will be a truly difficult month for the Virgos. It is mostly the fault of precisely Mercury, since it is his lack of action that will be the main problem. However, in this period, this information will be of no use to you since you will be the one with the problems, not Mercury. If you do not have your own business, then most of the complicated situations will result in some misunderstandings between you and your management. By the dawn of the second ten-day period, this misunderstanding will undoubtedly turn into open conflict. Do not be scared, you will not be fired. However, regardless of your own actions you may receive such a reputation that no one will hire you in your area of specialization ever again. So think thrice before voicing what you think about your management. If you wanted to change your area of expertise for a long time then everything is in your hands. Just remember that everything in the world is interconnected and returns to the roots eventually. If you work for yourself, then be prepared for an unprecedented level of activity from your competitors. Be attentive and plan your business development strategy carefully as any miscalculation can cost you dearly now. In relation to personal relationships, then everything will be much simpler. You should say thanks to Venus for that, but that was already mentioned above so let's get to the root of the issue. In this month, the main reason for your nervous breakdowns will be your lover. Her constant unhappiness, leading into hysterics, will often be substantiated. Carefully observe your actions from an objective point of view. Try to be honest with yourself. Maybe you are indeed doing something wrong. Perhaps you are indeed not trustful enough of your second half? If you are quite content with this situation then remember that other people also have their feelings, concerns and hopes. If you continue down the same path, then do not even hope for family happiness. Those who are lonely during the current time are recommended by the stars to cease searching during this period of time. Just wait for a while, time will come and fate will gift you the person with whom you will be truly happy.